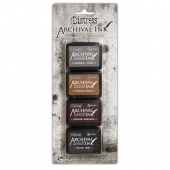 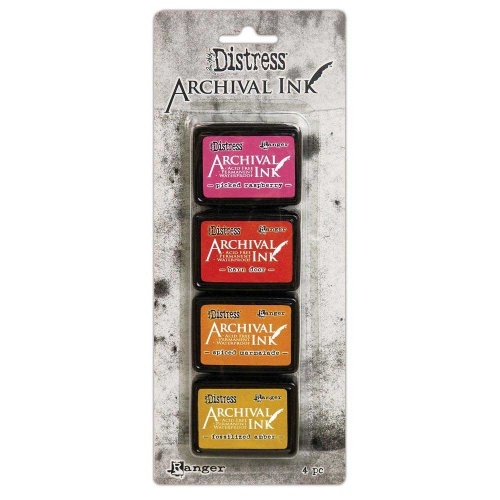 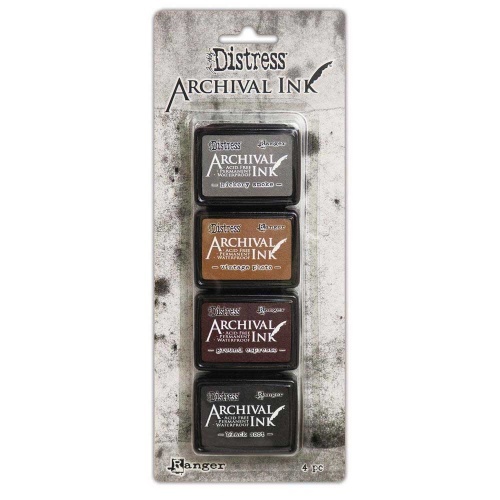 Tim Holtz Distress® Mini Archival Ink pads are waterproof, acid-free dye inks featuring the classic Distress colour palette in the same fade resistant formula used in Ranger Archival Ink. 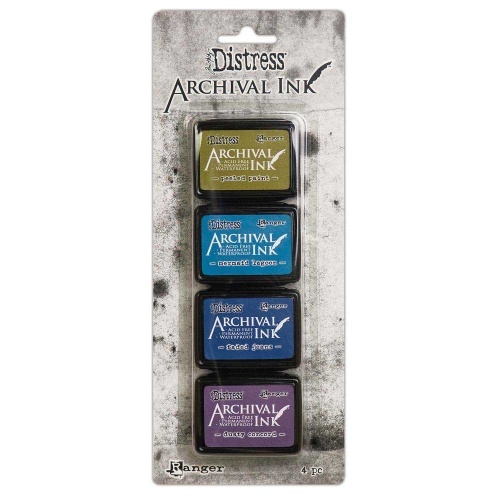 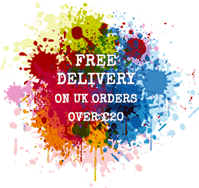 Archival Inks are permanent on many surfaces, providing long lasting detailed stamping results that won’t bleed when used with water-based inks, markers, acrylic paint and watercolours. 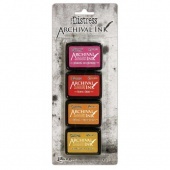 The small convenient 1.25in x 1.75in size pad make these inks ideal for various craft and mixed-media projects.